I will calibrate the frequency of AA in two ways. 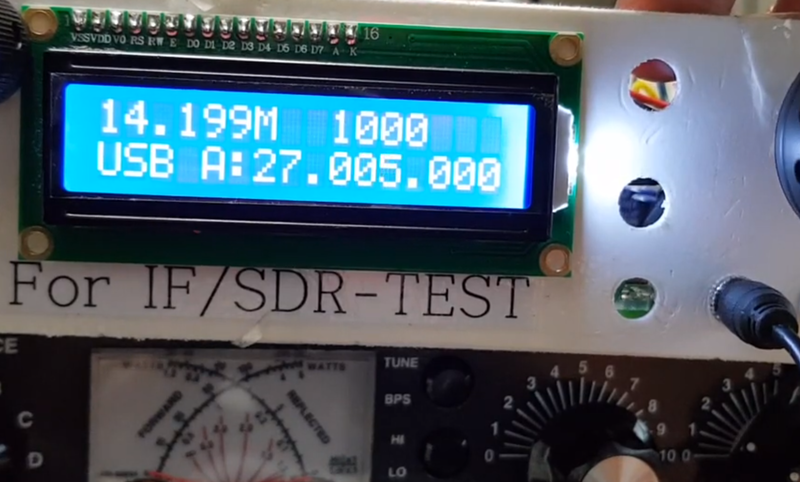 One is using the instrument and the other is using the SSB radio without the instrument. To use an AA as a generator to test a radio, you must have a calibration procedure. Also To use the WSPR, FT8 generator included in Version 0.40, the frequency should not be too different. First, check the XTal frequency on your AA. Maybe it will be 27Mhz most like me. In configuration, set Si5351_corr value to 0. Maybe this value will be 0 if you have not tried setting it yet. Does your instrument support XTAL frequency (27Mhz)? 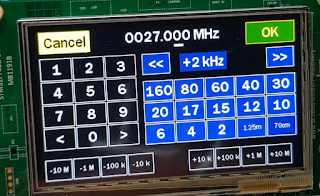 Then set 27Mhz. The higher the frequency, the greater the error generation, so the less precise instrument can be quite accurate calibration. I set it to 21Mhz to give an example. You can set it to any frequency. Check the measured value of the instrument. 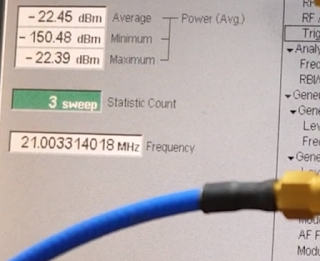 Calculate the difference between your AA frequency and the measured frequency. I will call this value the error frequency. In this part, you do not need this calculation part if you used 27Mhz. The values calculated above can be used as is. If you are bored, you can calculate it. If you do not use 27Mhz (XTal Freq), calculate as follows. If you measured the frequency using 27Mhz, you would not need to calculate it because of the formula below. Enter the calculated calibration value in SI5351_CORR. In Version 0.35 and later, a + - 200Hz button has been added to allow for faster input. The two pictures below are in my case. 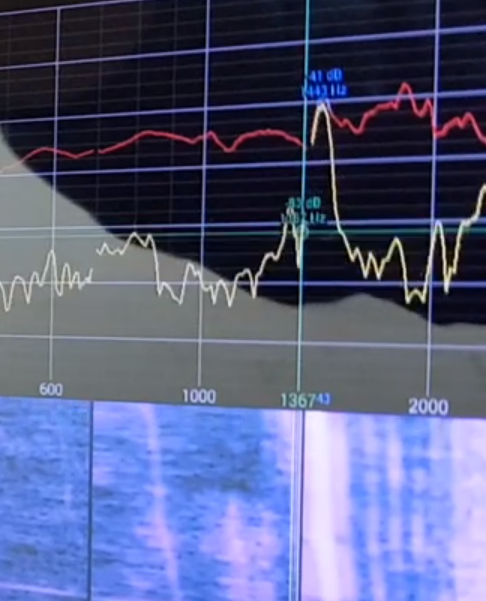 It can be seen that it is accurately set to less than 1 Hz. However, the higher the frequency, the greater the error. Test by increasing or decreasing the frequency by 1Hz. 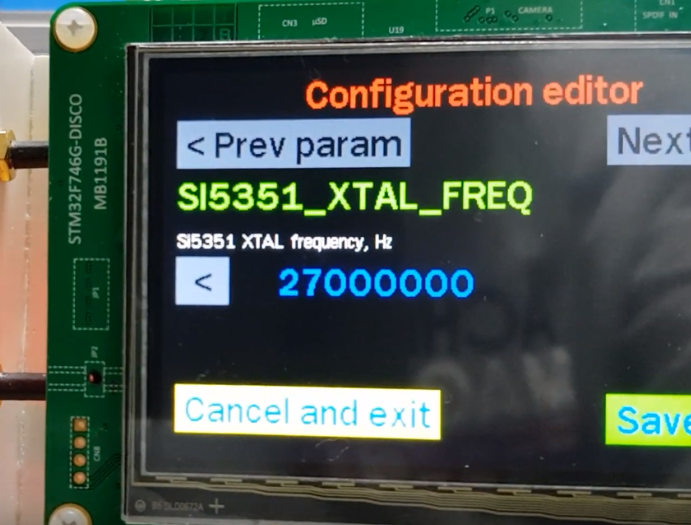 Does your SSB Transceiver support XTAL frequency (27Mhz)? 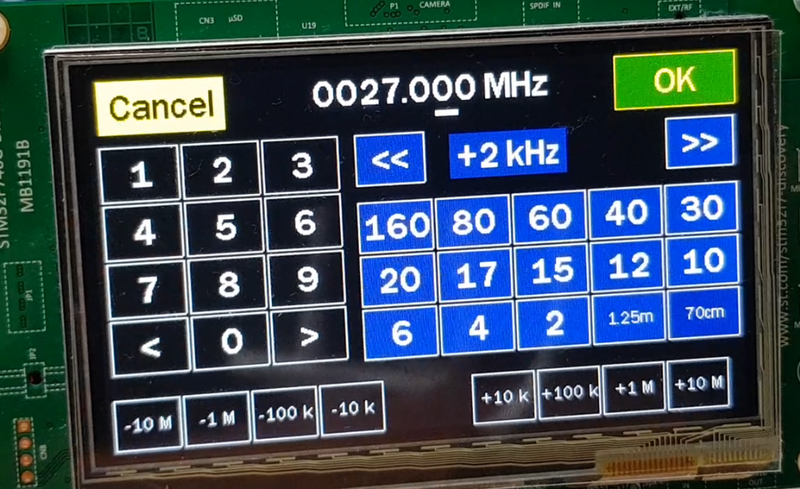 Then set 27Mhz. Or you can use any frequency. 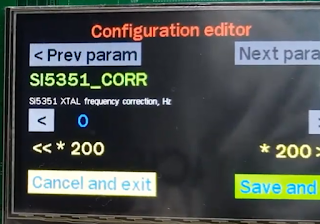 I set it to Xtal Frequency (27Mhz) to give an example. You can set it to any frequency. Now your AA is generating radio waves. Please use the radio to receive radio waves from AA. USB mode is recommended. LSB does not matter, but the method of calculation is slightly different. When you start to hear the sound, take your cell phone out. Your phone must have an app that can view Spectrum. It is mostly free. 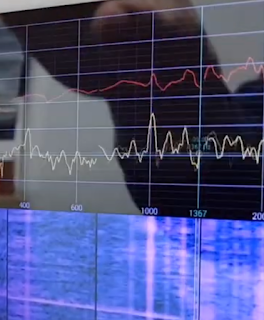 This app shows the spectrum of notes coming through the microphone. That kind of app is on both Iphone and Android. It does not matter if you like what you like. I use an app called spectroid. 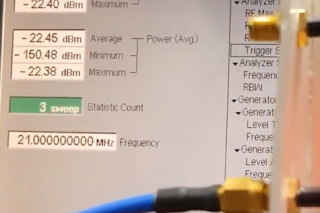 Try adjusting the frequency of the transceiver until the sound from the transceiver is 1 kHz. I set it to 1Khz. Now check the frequency of the radio. 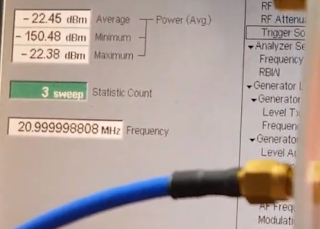 Please subtract the frequency of AA from the frequency displayed on the transceiver. Add 1000 to the above value. 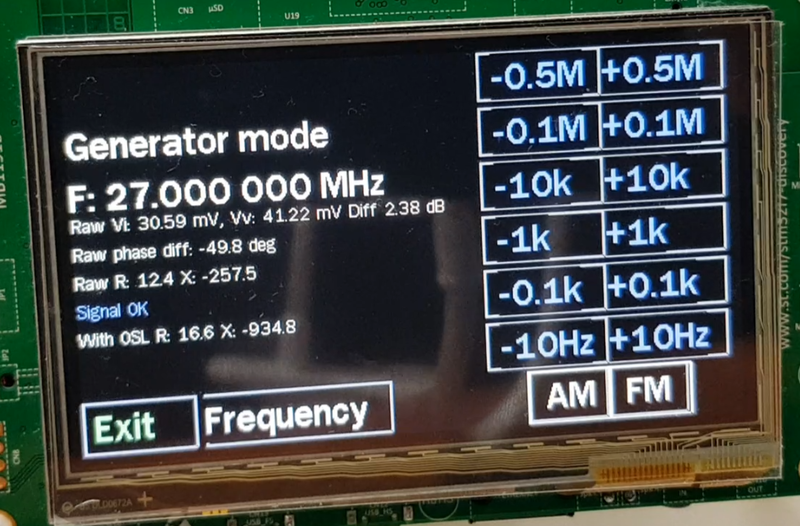 If you were using 27Mhz like me, the following calculation is not necessary. The error frequency shown above is your calibration vlalue. 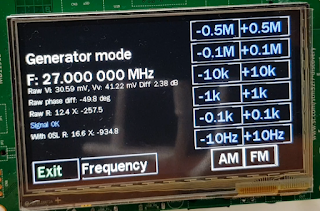 I had previously posted the Si5351 calibration method on the uBITX (QRP transceiver). If use the method of correcting the PLL frequency of DDS, it will be more accurate calibration. I will fix the firmware for Calibration later if I need more accurate frequency than AA. But this is quite useful for making or repairing a transceiver. Dear Ian, Thanks for sharing your nice software of the analyser. I do have one question about your determening method for the correction value via the SSB receiver. Maybe I am wrong but without questioning I never know. So I thought when you listen in USB the carrier is down to the audio. When I receive the 1 khz. 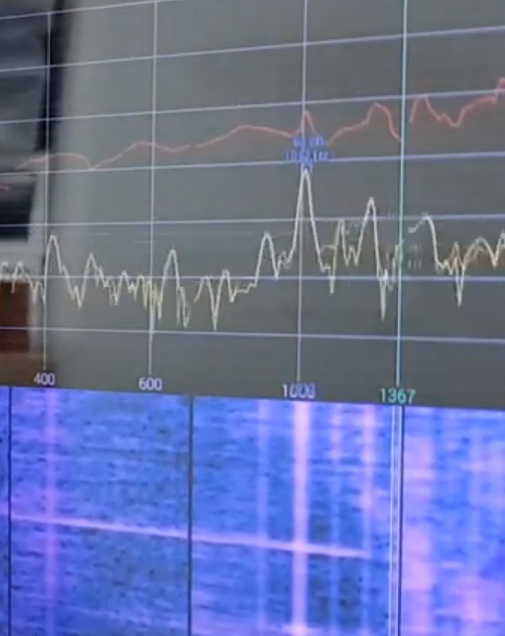 tone in the audio spectrum exactly as you discribed, it means that the carrier is 1 khz. under that point. 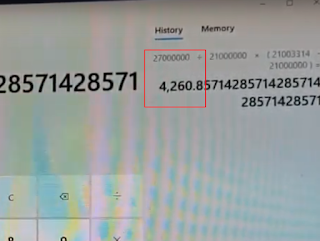 So when the reading is 27.003.260 the carrier is on 27.002.260. 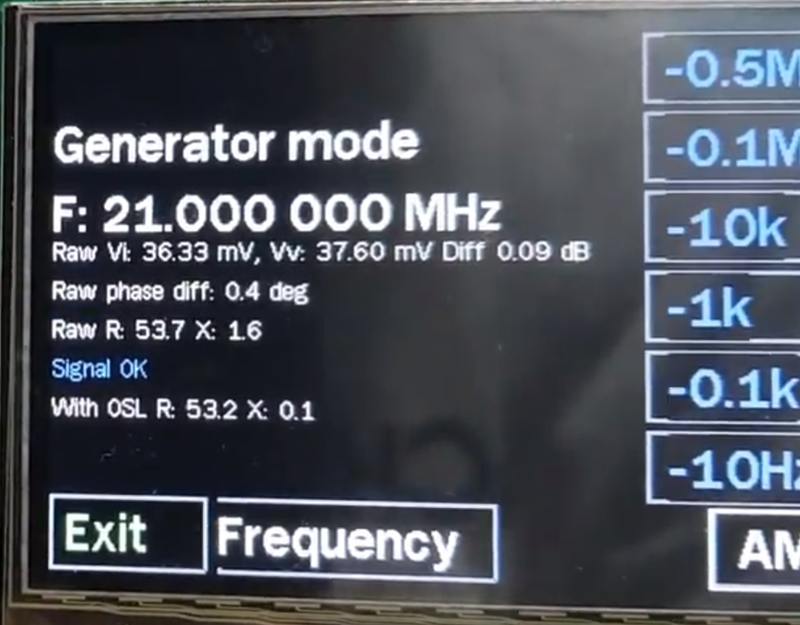 So the correction value is then 2.260 and should be not plus but minus because in my opinon the software has to - in this case - correct the higher transmitting generator. In my case - by the way - I receive 1 khz in USB on 26.998.960. 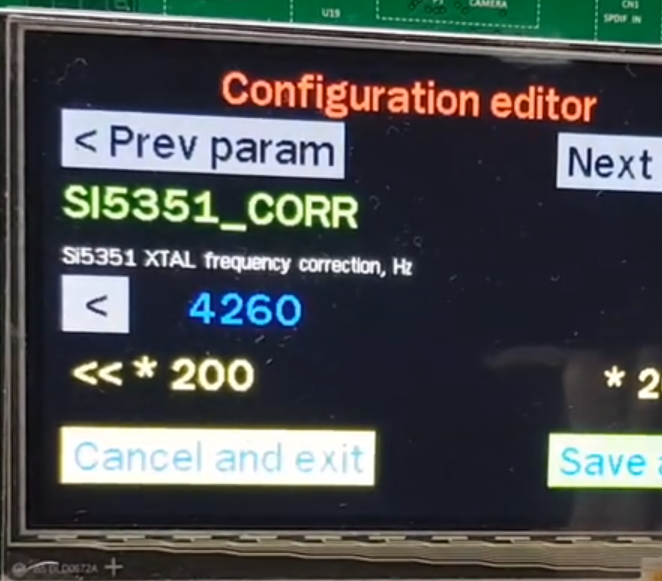 In theorie the correction is then 1040 + 1000 = 2040 plus because the software has to correct the lower transmitting generator. Perhaps I make a big mistake but I hope you can respond so I understand it. Thanks for all...Edwin the PA7EW from Holland. Thank you for sharing a good question. USB converts frequencies greater than the base frequency to audible frequencies. So we call it Upper SideBand. I could not attach a picture to the Comment, so I tried to draw it as shown below. 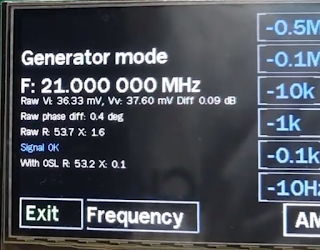 At this time, if the accurate signal generator generates a signal with 27.001 Mhz, it will be as follows. Then it changes to audio as below. 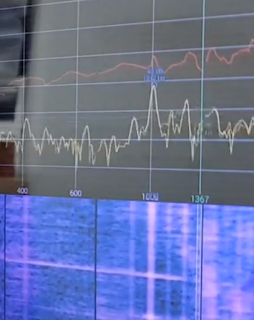 Then a 1000Hz sound is generated from the speaker. We look at it with the Spectrum app on cell phone. In this case, the Signal Generator generated a 27Mhz signal, but it is being received at 27.00326 at 1Khz. 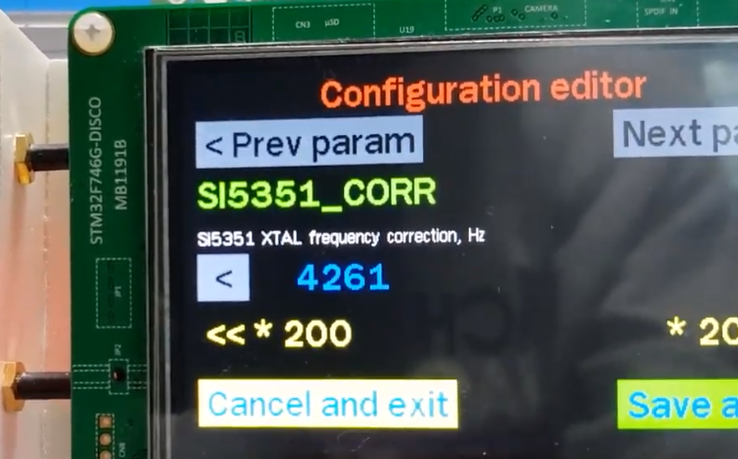 This means that the X-Tal connected to the Si5351 is 27Mhz, but actually it runs at 27.00426Mhz. If you send 27Mhz in AA and you hear 1Khz at 26998960 in USB mode on the receiver. It will be calculated as follows. Because AA is relatively accurate, you only need to enter -40 in Calibration Value. Thank you very much for the comprehensive reaction on my question about the correction value for the analyser. Still I think it is the best way to draw a picture but I tried to mail you via amsat.org. That was not working. If you mail me via amsat.org I can send you a picture that will help us to make the question and my theory clear. I do not have an account at amsat.org. I need to create an account. It was a place where there was a lot of interest. If possible, please send it to the following mail. I join to the question of PA7EW. 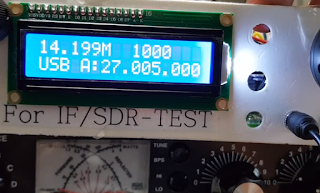 I tried to calibrate my FAA-450 on the your determening method for the correction value via the SSB receiver, but by rtl-sdr v.3 dongle and SDRSharp. and also rechecked it by spectorid app. Is my calibration procedure and calculation correct? It is normal that no sound is heard when AA transmits 27 Mhz and the receiver receives USB 27 MHz. We call it variously. 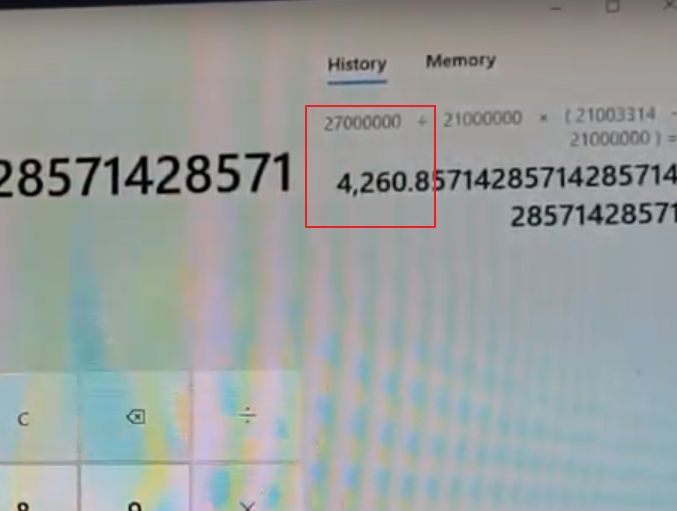 If you set the receiver to 26.999000, you will hear an audio sound of 1Khz. 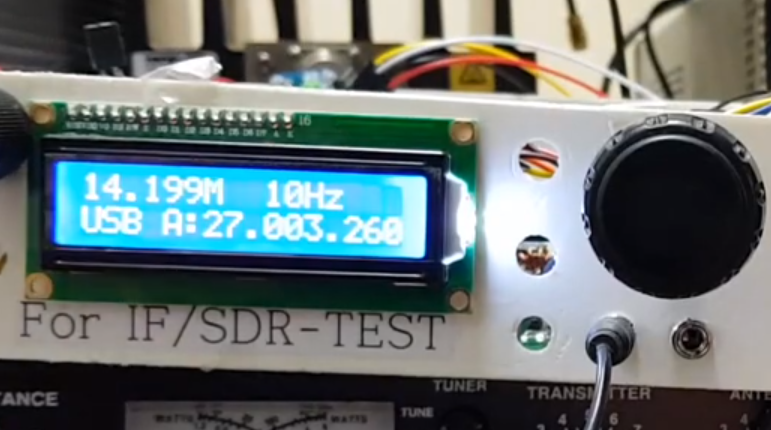 For reference, there was a slight frequency error in my RTL-SDR. Thank you for answer and for your calibration method. 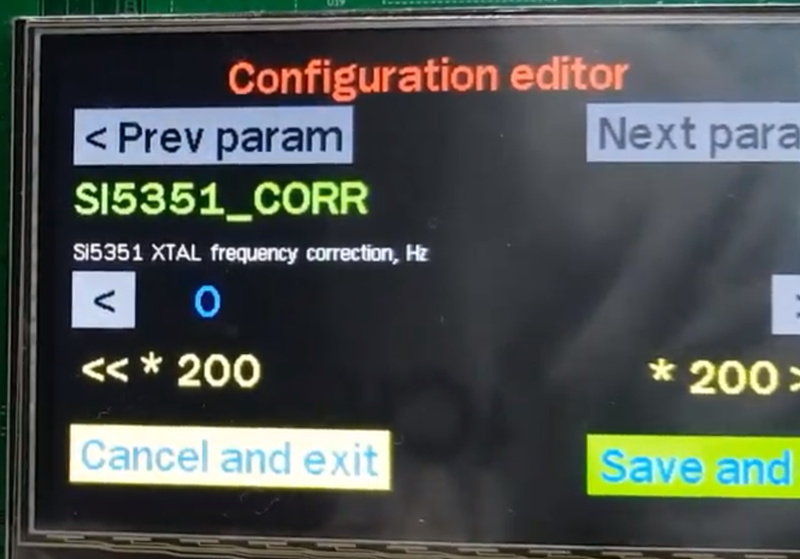 Before starting of calibration procedure of FAA-450 I warmed up rtl-sdr v.3 under the heavy load during the couple of hours and then calibrate it frequency by the gsm method (kalibrate). 4. On the main screen (bottom left) the version and date of the Firmware creation could be cyan colors. Hope I had to paint AA !? Everyone seems to be okay. I'll put your comments on the Todo List.